They keep my eyes from getting dry from wind or general air movement. 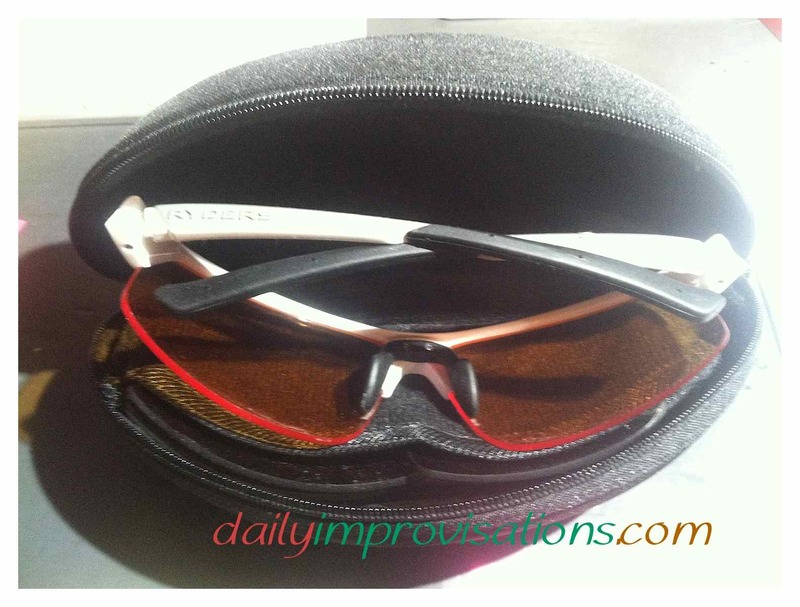 They help my eyes adjust to changes in lighting while maintaining maximum visibility. They make me look serious and fashionable. Okay, maybe I don’t wear them for that last reason, but I appreciate the affect. I need all the help I can get to look like a legitimate cyclist, especially with what the wind does to my hair. However, not just any sunglasses will do for the job. I didn’t even wear sunglasses for years, because I thought the only ones available were the cheap ones that just make everything dark. You do NOT want to ride a bicycle while wearing these. Then, for a few years, I only had some higher grade sunglasses that were great for driving and I never questioned if they were best for biking, too. Until one day, I realized my eyes were getting very dry and I was having trouble seeing in shady spots with my nice sunglasses while riding my bike. I needed something different for riding my bike. I went into one of my local bicycle shops, Rolling H Cycles, and explained my problem to them. They recommended some Ryders sunglasses, with interchangeable lenses. I wanted something that fit to my face more closely. At that point, I didn’t even know there was something that would provide higher visibility in both the shadows and on cloudy days. The shop guy showed me how the lenses were easy to change out, and let me try it myself, which made me nervous, but it was easy. Nothing but fingers needed. I tried them on and they were comfortable. So, three sunglasses options for the price of one. I decided to purchase them. 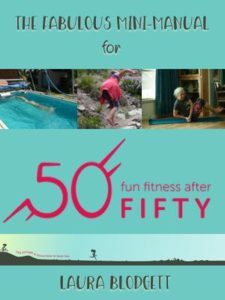 Best sunglasses for barefoot runners, or maybe any runners, with a clamshell zipper case. 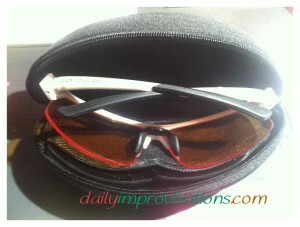 At first, I had the medium dark lenses in the sunglasses frames, for sunny summer bike riding. Then, one day it was cloudy, and I changed to the orange lenses. I LOVE the orange lenses. Not only did they cut the glare, but they made everything brighter. This is a marvel of modern inventions! 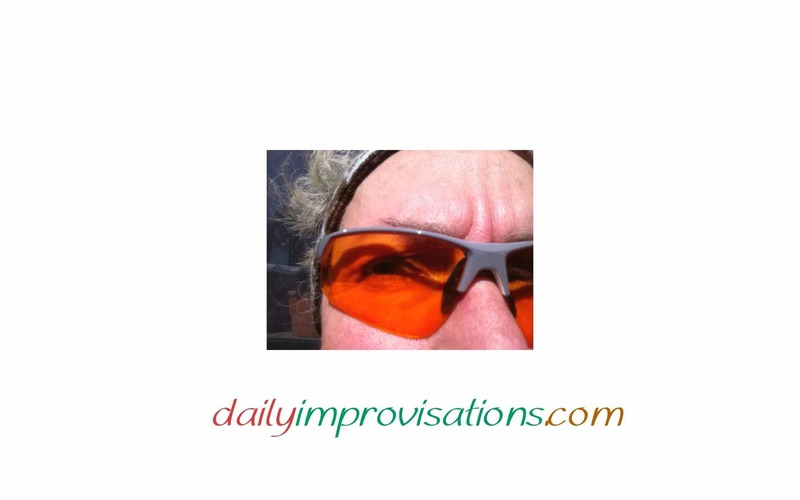 I do realize that I have not “thoroughly researched” all sunglasses available, but since I have limited funds and the sunglasses that I have now have functioned superbly for me for several months, I think I can say they are definitely the best sunglasses I have ever had. Very light weight, too, and feel secure in place so far. When I wore the orange lenses I found that I had much less trouble than usual adjusting to shadows. Really, I had no trouble at all now. This is very useful for cycling. Ryder brand Saber sunglasses with orange lenses have been wonderful for winter running in low lighting conditions.